Once the muslin bag is completely dry, stamp the sentiment with pigment ink. To create the techniques featured in this artwork, follow the helpful hints outlined below. Then use the Make It from Your Heart®: Pattern 21 information found on page 43 in our how-to publication for inspiration. 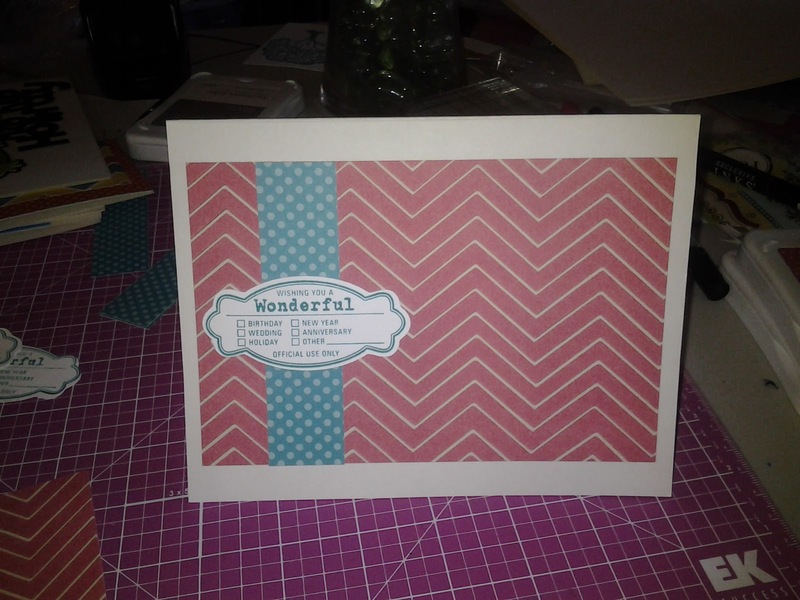 To stamp the chevron background paper, ink the chevron image from the In the Background stamp set in Cotton Candy ink and stamp it three times. To create your own faux denim paper, sand distress Outdoor Denim cardstock. 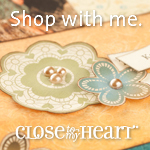 Add visual interest by creating a paper-pieced home using papers and embellishments, as desired. This card features the Dotty for You paper pack once again! Can you tell I am in love with it yet? 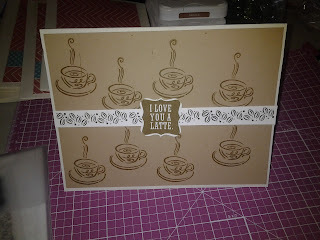 I used the paper pack as well as the Cricut Artiste cartridge and coordinating stamp set that are exclusively available through Close to my Heart! So simple and easy. I hope you enjoyed my project and please check out my blog for the other challenges that I have created this weekend. Happy hopping! My project is a card. All supplies are CTMH unless noted. 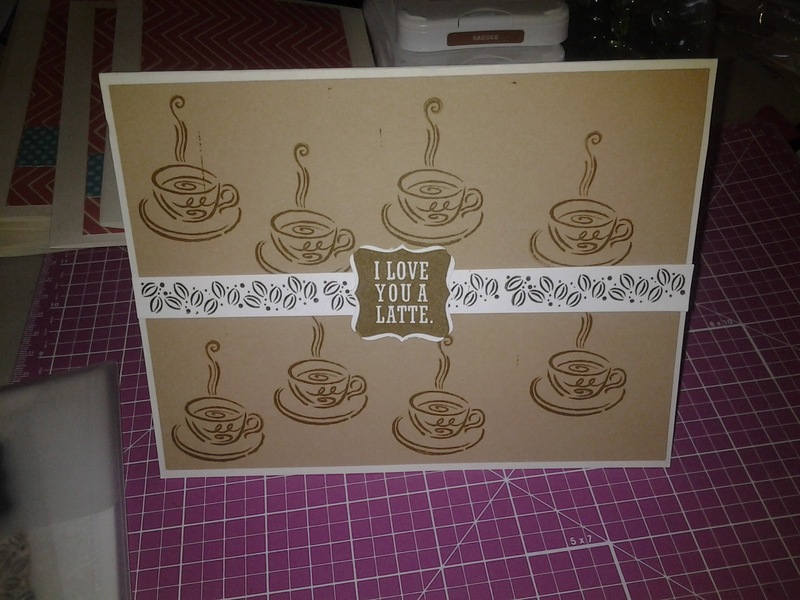 I created my own background paper by stamping the coffee cup on Cashmere cardstock with Saddle ink. I stamped the beans in Cocoa ink to create a border. The tag was cut out using the exclusive Art Philosophy cartridge. I hope you enjoyed my project and happy hopping! Remember to come back and see what I create for the rest of the challenges! 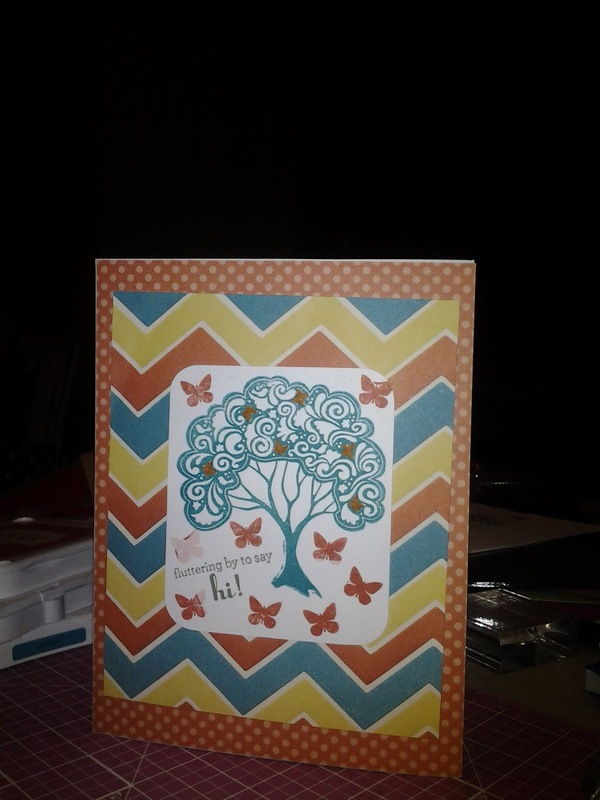 For this challenge, we are to use a sketch and create 6 cards using ONE 12 x 12 piece of patterned paper. It is called Disappearing Act with Sketch 63. Here is my card (x6). All supplies used are from CTMH unless otherwise noted. This card can be used for several different events so it makes it a perfect option for the troops to use. The paper is again from last year's Dotty for You paper pack. Can you tell that I love it? The tag is cut from the Art Philosophy cartridge, exclusively available from CTMH and the stamp used comes withe the cartridge! In fact, 3 exclusive clear acrylic stamp sets and chipboard come all together in this package. Happy Hopping and don't forget to come back to see what else we create along the way! Yay! The next challenge is here! 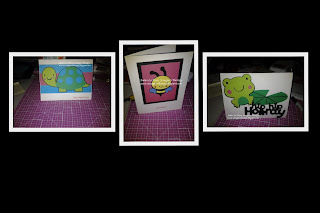 This challenge is called "All Creatures Great and Small; Cards for Kids" I am loving this challenge as I get to use my Create A Critter cartridge. 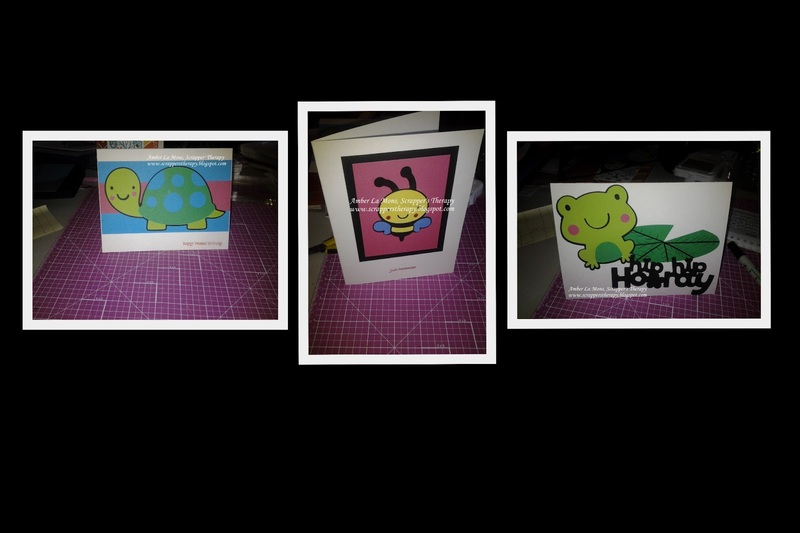 The first card I created was the turtle but after seeing all the other cute critters I couldn't stop a just one! 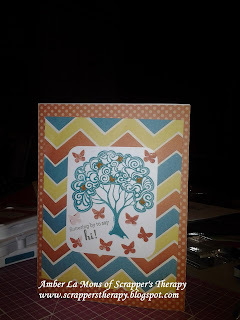 The papers used were not CTMH but I did use the Pun Fun stamp set for the stamped sentiments. 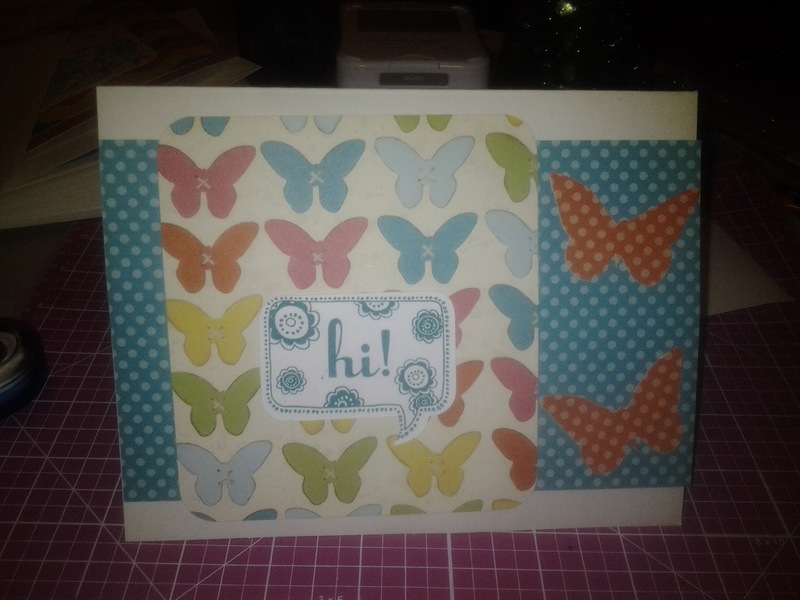 Happy Hopping and please stop by to see what I create for challenge #3! Hip Hip Horray! 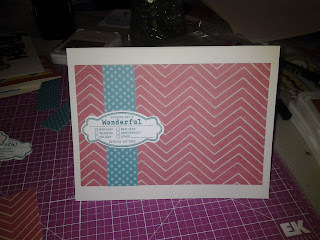 I am so excited that there is a virtual card making party for the long holiday weekend over at Operation Write Home. If you do not know about this wonderful organization. please go visit them today to find out more! The first challenge was to Zig Zag your card. I love, love, love this trend and could not wait to dive in! Luckily I am a paper hoarder and had some Dotty for You paper left over from last year's promotion from Close to my Heart. Thank you for looking and please continue to follow along as we create all weekend long! This is the BEGINNING of the hop so you are in the right place! My project featuring the letter D is for Dave Ramsey! 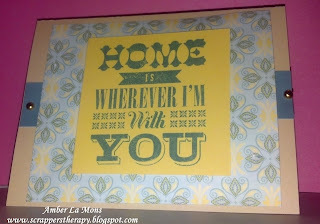 Your next stop on our Everything ABC'S blog Hop is Lucy of Love 2 Create. To create the techniques featured in this artwork, follow the helpful hints outlined below. Then use the Magic: Now You See It—Right™ (altered) pattern found on page 23 in our how-to publication for inspiration. Stamp the chevron image from the In the Background stamp set twice with Cotton Candy pigment ink; set it aside to try and then use the 1 1/4" circle punch to create four circles. Create two more 1 1/4" circles from papers of choice. To create the chevron circle faux flower in the lower middle portion of the page, cut 8 slits in three of the chevron circles, making sure the scissor blades do not go all the way to the center of the circle; layer the three circles and adhere together in the center. Save the remaining chevron circle for the paper accent in the top left corner of the page. Add visual interest by making a paper banner by cutting three pennants from Blush cardstock. To add an extra touch, sponge the edges with Cotton Candy ink. Attach the banner to baker’s twine using Glue Dots and attach to page with clothes pins. If you came from Darla of Caution: Crafting is Contagious then you are in the right place! 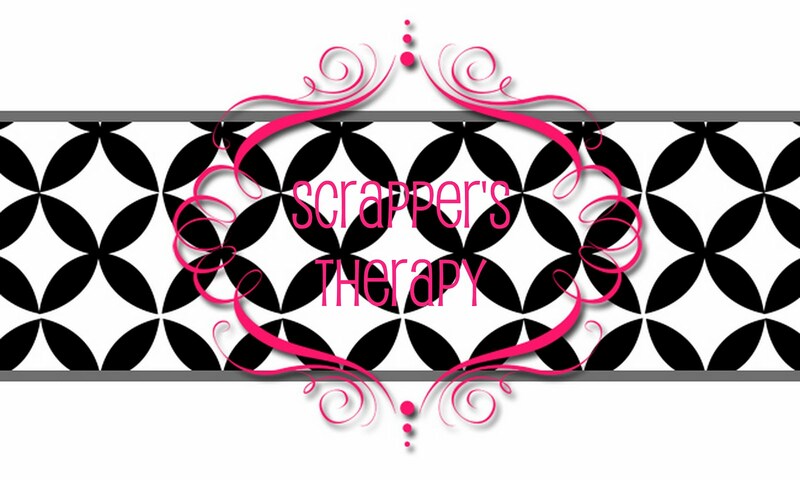 Cut Champagne cardstock to standard card size 4 1/4 x 5 1/2 inches. 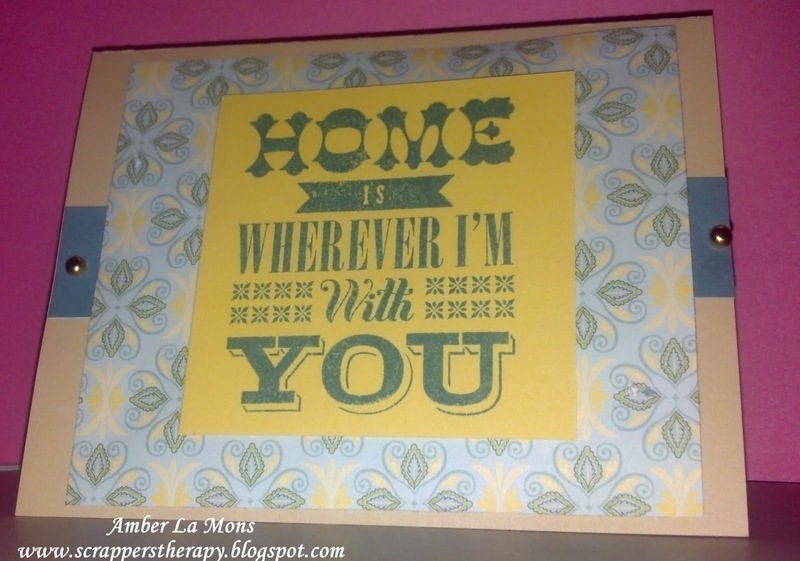 Your next stop on our "Home Sweet Home" hop is Jennifer of 4 Hearts Scrapbooking. For the inner covering, I used the scraps from my original 12 x 12 paper and cut to size. I used a square for each angled cut and glued half to the inside and the other half to the outside. This was a super easy project and you can hang it with magnetic clips or place your magnets inside your box as I did. 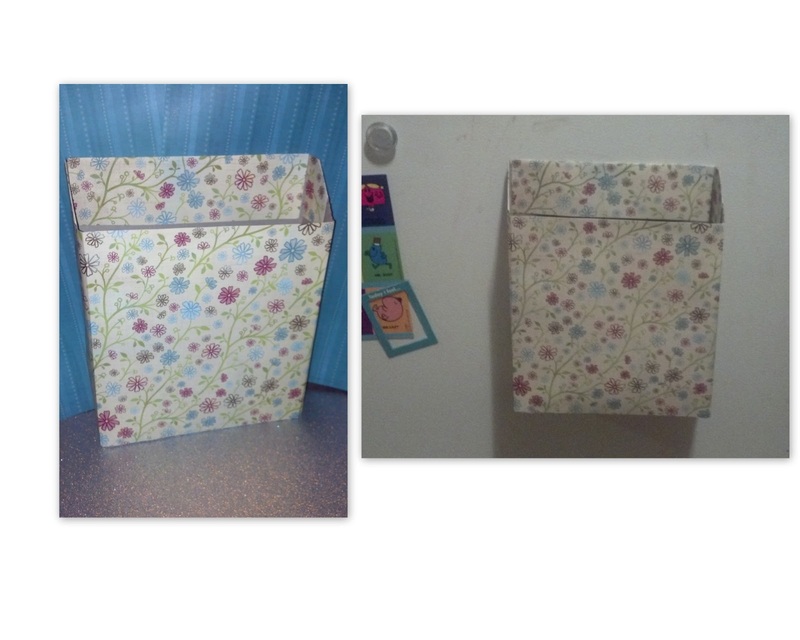 I hope you enjoyed this project and it helps you to corral extra papers as well! Your next stop on our Everything ABC'S blog Hop is Lucy of Love to Create.